Breeding season arrived for the giant pandas, according to the National Zoo. Female panda Mei Xiang and male panda Tian Tian are showing signs they are ready to breed, the said Wendesday. Also, Mei Xiang's hormones have been rising. 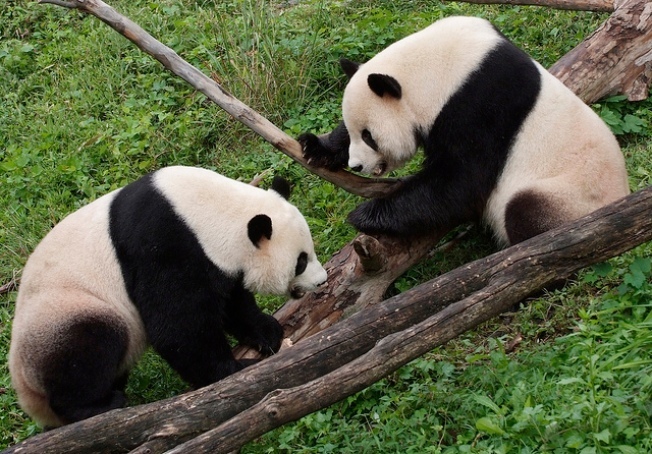 The pandas will have an opportunity to mate naturally, zoo officials said. If they're not successful, a team of scientists is standing by, ready to perform an artificial insemination in the coming days. The panda house is closed for the breeding period, but visitors may see the pandas in their yards. Mei Xiang delivered a cub in September, but the tiny female cub died six days later due to liver trouble and signs of lung disease.